Black Dahlia: Could A Woman Be The Killer? 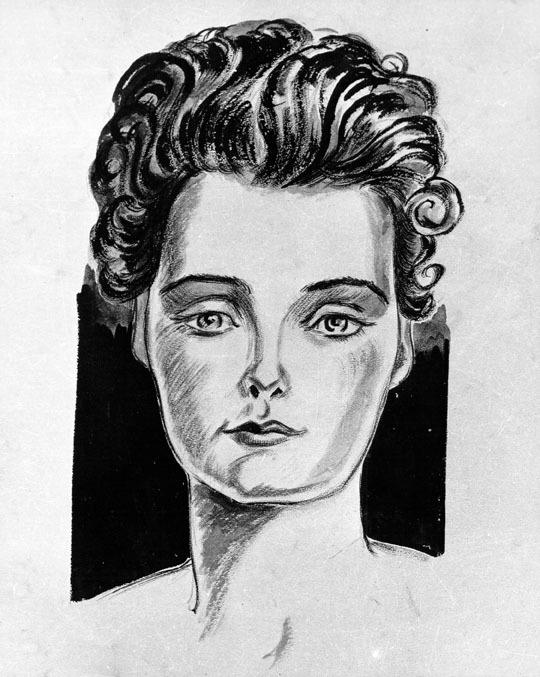 Sketch of Jane Doe #1 prior to her ID as Elizabeth Short. 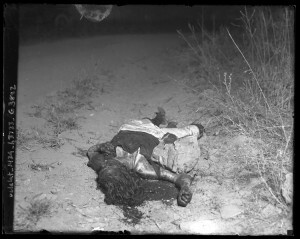 Dozens of men were interviewed as possible suspects in the murder of Elizabeth Short. None of the interviews panned out. 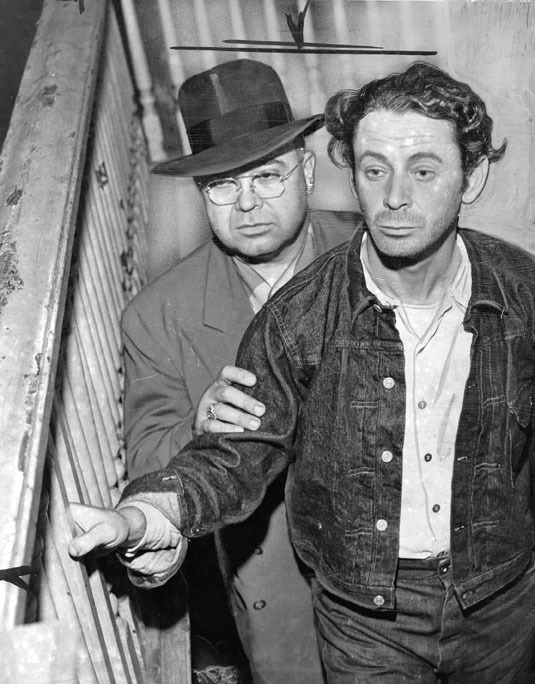 A seemingly endless stream of false confessors appeared at various police stations around town; guys like Max Handler, a film bit player, who was the 25th man to claim he had murdered the Black Dahlia. During a lie detector test Handler admitted his confession was false. Why would an innocent man confess? In Handler’s case it was to escape from the 400 tiny men with violins who were chasing him. In the photo he looks to have been on a lobotomizing bender. He subsequently cleaned up, changed his name to Mack Chandler and appeared as a detective in the 1953 noir film, Crime Wave. Daniel S. Voorhies, a 33 year old army vet, also confessed to killing Short. He said he had an affair with her in L.A. There were a couple of problems with his story. The first was that he didn’t know how to spell her last name and, second, at the time he claimed and Short were having a torrid affair Beth was a very young teenager living on the east coast. The local landscape was littered with crumpled up false confessions given by every sad drunk and deranged publicity seeker–and most of the confessors were men; but not all of them. A gal named Minnie Sepulveda stepped up and said that she killed the Black Dahlia. She lied. 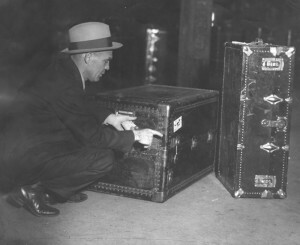 Mrs. Marie Grieme said she had heard a Chicago woman confess to the Black Dahlia murder. Her story was a dead end. Even though none of the women who confessed were guilty, the cops began to think it wasn’t out of the question that Short’s slayer was female. After all, L.A. had had its share of female killers. The Herald-Express ran side-by-side photos of three infamous homicidal women who were busted in L.A. Louise Peete (one of only four women ever to have been executed by the State of California) was a serial killer. She was busted for murder in the 1920s, did eighteen years, and following her release from prison committed yet another murder for which she paid with her life. Winnie Ruth Judd committed two murders in Arizona. She was busted in L.A. when a trunk containing the dismembered remains of Hedvig Samuelson and Anne Le Roi got ripe and leaked bodily fluids in the baggage claim section of a local train station. In 1922, Clara Phillips (aka “Tiger Girl”) murdered Alberta Meadows, the woman she suspected was a rival for her husband’s affections. She struck Meadows repeatedly with a hammer and, for the coup de grâce, she rolled a 50 lb. boulder on top of the corpse. Obviously La Vere was an expert for hire, and if the Herald-Express editors asked her to write a convincing profile of the killer as a mutant alien from Mars, she’d likely have done it. Still, she made some compelling comments in her column for the newspaper. If you compare Alice La Vere’s profile of the possible killer to a profile created by John E. Douglas, who is retired from the FBI’s Behavioral Analysis Unit (BAU)– La Vere’s seventy+ year old profile holds up well. What I find interesting about La Vere’s profile of a female perpetrator, is she said that the woman would be older than Short. In recent years an older woman became an integral part of a theory about the crime. It is a theory put forward by writer and researcher, Larry Harnisch. Larry wrote an article for the Los Angeles Times on the fiftieth anniversary of Short’s death. Subsequently, he has done more digging into the case and unearthed an important connection between the body dump site near 39th and Norton, and two medical doctors. One of the doctors, Walter Alonzo Bayley, had lived in a house just one block south of the place where Elizabeth Short’s body had been discovered. At the time of the murder he was estranged from his wife who still occupied the home. Bayley left his wife for his mistress, Alexandra Partyka, also a medical doctor. Partyka emigrated to the U.S. and wasn’t licensed to practice medicine, but she did assist Bayley in his practice. 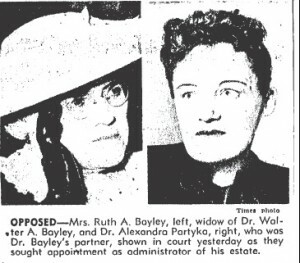 Following Bayley’s death in January 1948, Partyka and Dr. Bayley’s wife, Ruth, fought over control of his estate. 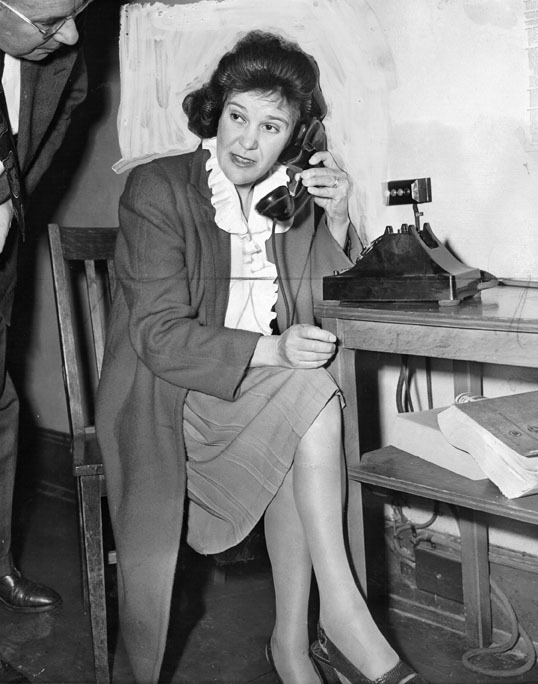 Mrs. Bayley claimed that Partyka was blackmailing the late doctor with secrets about his medical practice that could have ruined him. There is also a link between Bayley’s family and Short’s. In 1945 one of Dr. Bayley’s adopted daughters, Barbara Lindgren, was a witness to the marriage of Beth’s sister, Virginia Short, to Adrian West at a church in Inglewood, California, near Los Angeles. It is clear that a woman could have murdered Elizabeth Short; but could the woman have been Dr. Bayley’s mistress, Alexandra Partyka? The chances are that we’ll never know–or at least not until Larry Harnisch finishes his book on the case. NEXT TIME: Another confession, and another murder.